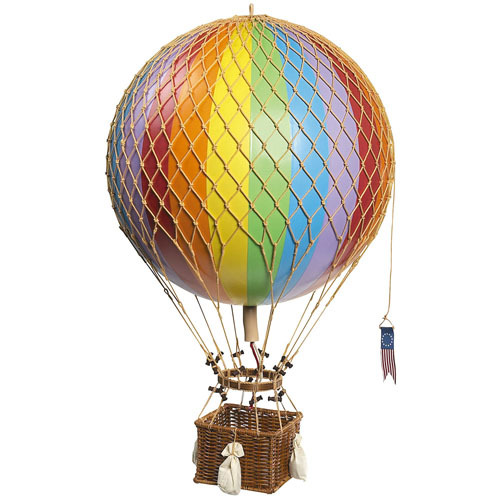 Featuring this "Authentic Models Hot Air Balloon" Helium balloons were one of aviation's first successes. Since 1783 balloons have traveled the skies, often in unintended directions. This elegant boxed balloon makes an excellent gift. On Sale for $89.00! Click here to purchase.